Everything you wanted to know about Carlie St. George’s awesome fairytale noir series. 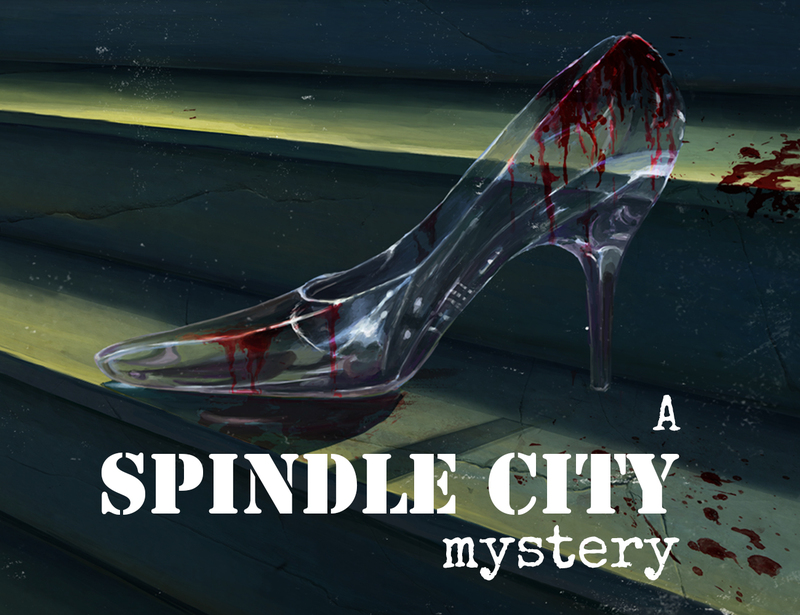 Earlier we revealed the cover for The Case of the Little Bloody Slipper by Carlie St. George, the first of three interconnected novelettes in The Spindle City Mysteries. We are now pleased to unveil details for all three stories in the series. I walked over and squatted down. Lying on the middle step was one of Ella’s glass shoes. It was still intact and lying on its side. It was also covered in blood. At stake is a rumored vaccine that could save thousands of lives from the Pins & Needles plague–a disease for which there is no cure, and that has already affected Jimmy’s friends and family in irreparable ways. But as Jimmy Prince knows all too well, hope is for saps, and The Spindle is not a city for those who believe in happy endings. Even when they want to, above everything else. Cover reveal and pre-order on November 16. But in Spindle City, the long and silent ever after waits for no one–and it’s Jimmy’s turn to dance with the dragon. Cover reveal and pre-order on December 7. Three cases. One private eye. And the seven deadly dames who run Spindle City.